Long and Short Reviews welcomes K.J. 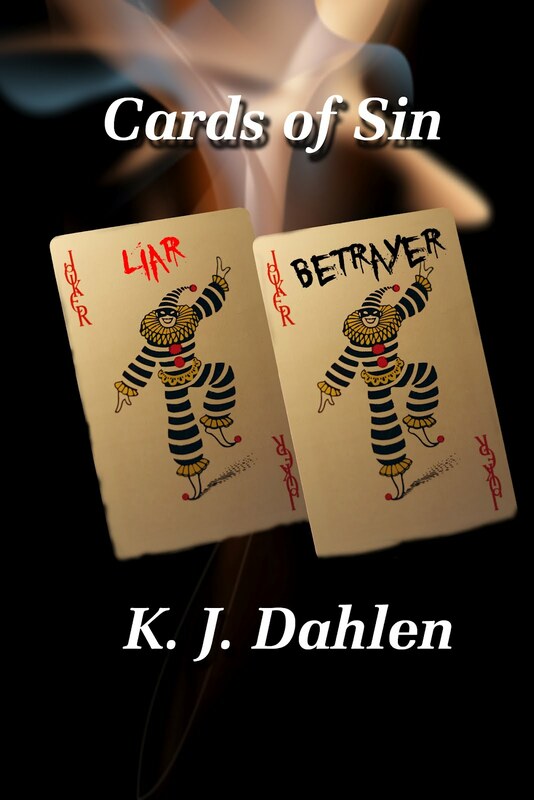 Dahlen who has two new books out: Cards of Sin and Blood Memories. She will be giving away a download of Cards of Sin to one randomly drawn commenter on today's interview. K.J. Dahlen is created from her names Kimberly Jane and the original name, Dahlen, of her husband's family when they immigrated from Norway—it was changed to Dahl. 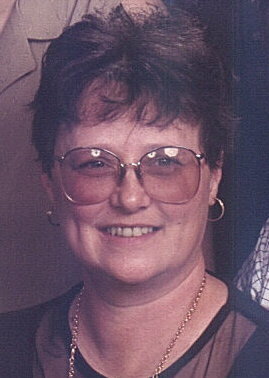 Kim loved to read and, when she was growing up, would read everything that interested her. One day she began to notice that she knew how the books would end before she actually got to the ending. "It made me mad and took the pleasure of reading a book out of the equation," she told me. "I had to get my love of reading back somehow so I began outlining my first book, Appearances are Deceiving. Oh course it was a romance; I knew that genre the best. I wrote it out long hand then began typing, rather a large task at the time, but that’s how I did it. I have since graduated to a laptop computer and switched my genre to suspense." Her two children were still at home when she first began writing, but then life interrupted and Kim's dream of being a writer was pushed back into a corner. She started writing again when the kids were grown and hasn't looked back. Her first book was published in December 2008. She now has eighteen books in print or ebook. There are two more to be published soon, and she has ten books that are almost completed. "Whenever I get an idea I take the time to do a complete outline. I have about two dozen books outlined waiting to be written," she explained. Even though she plots her books, at some point in each book she's written the characters take over and they don't always stick to her plot. "They like to go off on their own. It makes tying up the loose ends difficult but not impossible some times," she said. "My characters are made up of several people I know. I often use their good points and bad points to give my characters attitude. I usually start with a first name then build the character around the name. I try to give my characters a little bit of myself too, only the good part though." Kim has just stared a new book called The Huntress and I asked her to tell us about it. "She's a girl born of a powerful witch and vampire. She’s the first born of twins and her mother begged her sister to take the girl and hide her. She can feel the father coming and she doesn’t want him to get both children. She knows her daughter will be more powerful than she is and she wants her daughter to learn to hunt vampires. She might be the only one to be able to stop her father." Kim writes on a small table in the living room, in front of her easy chair. "It's a tray table actually," she said. "I have a filing system on another table next to me and I stack notebooks and files on the arm of the loveseat next to me. I like it here but my husband grumbles about the stacks of stuff on the couch. I prefer a laptop but like I said sometimes I jot notes on sticky pads too." She told me that she first considered herself a writer the day she held her first print book in her hand. "I think I had a dazed look in my eyes all week. When I got my first contract offer I yelled 'Hot diggety damn' and my husband came running. When I showed him the email he looked a little dazed too. It was great!" "What is your work schedule like when you are writing?" I asked.
" During the school year I get up around 4:45. I make my husband’s lunch and me a pot of coffee. Then he gets up around 5:20. HE leaves for work around 5:50 and after I kiss him goodbye and I hear him leave for work I sit down and open my latest book and begin typing. When I get involved in a story I lose all track of time and space." She likes to talk out the conversations her characters have, admitting, "It can get very animated having a two sided conversation by myself. Sometimes I have to lay down and close my eyes to get the creative juices going. It seems as soon as I close my eyes I can pick up the thread of the story and off I go. I usually don’t get to stay on the couch long. Maybe that’s why I’m in the living room." I asked Kim which of the books she's written is her favorite. "My favorite book might be Bones, that was my first book out, but I have a liking for all of them. When I wrote The Darkness Within someone told me the book didn’t seem finished, so I wrote two more book and finished Sable’s story. Then I wrote The Prophet. Now this one was supposed to be the first of three books too, but so far I haven’t had time to finish the other two. Then I wrote a book a long time ago titled Shadow in the Darkness. When I got around to reworking the story I made it longer and more intense. I renamed it Phoenix Rising and it was picked up by Xchyler Publishing. It was due to be released this month but Xchyler retained a new editor and everything has to go through her, so I’m playing the waiting game now. Hopefully it won’t be too much longer." " Don’t give up on your dreams. If you have what it takes you’ll see your dreams come true. I waited almost twenty years for my dream to come. Also never take what someone else says about your work to heart. If your book needs work, use that critique and make your book stronger, better, the best it could be." Cards of Sin does sound intriguing. And I have to say the 495 for a population is very small. I hate when I know the ending ahead of time. and I hate when I can predict it.